Will Raymond Caruana killer remain free? Raymond Caruana was 25 when he was gunned down at the Gudja club (right). Right: Two of the bullet holes on the PN club façade. Then Nationalist leader Eddie Fenech Adami and deputy Guido de Marco leads thousands in silent protest over the shooting. Time-barring restrictions mean that gunman who scythed down Raymond Caruana 25 years ago may have got away with murder, criminal lawyers have confirmed. According to Malta’s criminal code, murders become time-barred following a 20 year period – the longest prescription period possible according to domestic law. This means that anyone known to the police in relation to Mr Caruana’s killing could only have been charged with the crime up to December 4, 2006, one day shy of the event’s 20th anniversary – even if they were to now come forward and confess. The point was made during the investigative television programme Evidenza by criminal lawyer Giannella Caruana Curran last week, who said the unsolved murder’s period of prescription had lapsed. 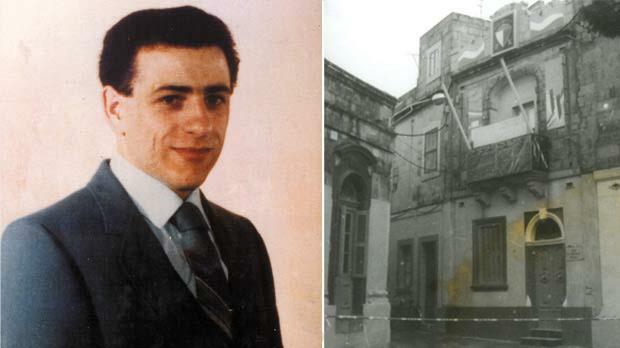 Mr Caruana was killed on the night of December 5, 1986, when unknown assailants fired 13 machine gun bullets at the Nationalist Party’s new club in Gudja. The murder remains Malta’s only direct political killing, and marked a low point in contemporary Maltese history. It was further tainted in the public’s memory by subsequent police attempts to frame Pietru Pawl Busuttil, a PN supporter who today is the mayor of Safi, by planting the murder weapon on his property. Prescription restrictions mean that none of the individuals connected with the event can ever be tried for the killing of Mr Caruana, even if fresh evidence is brought forward. Not that the legal technicalities made much difference to Mr Caruana’s brother Jimmy. To his mind, there was never any interest in catching the culprits anyway. Mr Caruana dismissed efforts to solve the case with a cynical sneer. “Justice? What justice? It’s all so amateur,” he said. Although prescription restrictions may mean Mr Caruana’s killers will never be brought to justice, Dr Caruana Curran said they were justified. Dr Caruana Curran also confirmed that the case would be time-barred even if one of the individuals implicated in the 1986 killing came clean and decided to confess to Caruana’s murder. There is, however, one exception to prescription periods – if police decided to charge a person who was never part of the investigation. “If the person who committed the murder was never interrogated or indicated as a possible suspect, then prescription would not apply,” criminal lawyer Joe Giglio explained. Given the paucity of leads over the past 25 years, whether this exception will ever apply in this case remains moot. 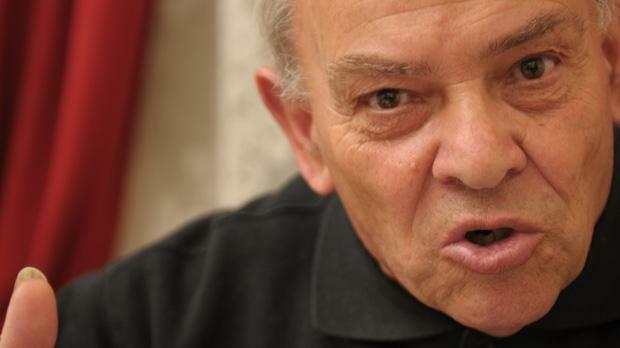 Meanwhile, Mr Caruana’s brother has grown weary of the annual fanfare surrounding his brother’s death. How long are they going to keep playing with his memory? Pietru Pawl Busuttil, flanked by his lawyer Guido de Marco (right), celebrating outside the court after being cleared of any connection with the murder. 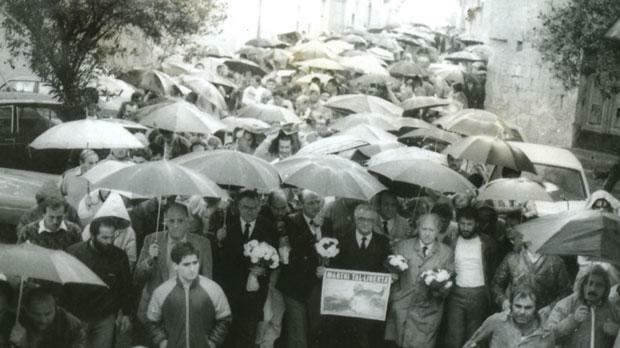 Nov 30, 1986: A PN mass meeting in Żejtun is blocked by police and Labour activists. A round of machine gun fire is traced to a Sterling submachine gun. 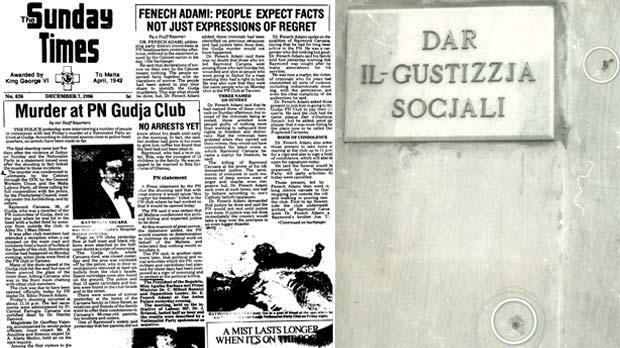 Dec 1, 1986: On their way to Żejtun, a group of Labour supporters drive past the PN’s club in Tarxien and spray machine gun bullets at the closed club door. One of the Labour acolytes allegedly involved is Anthony Carabott (it-Toto). The bullets were also fired by a Sterling submachine gun. 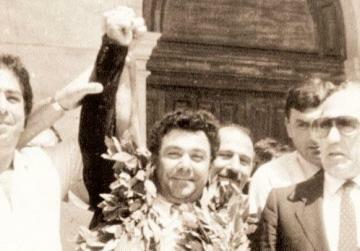 Dec 5, 1986: Raymond Caruana and other PN activists are sitting in the PN’s new club in Gudja, watching TV. The club door is open and the lights are on. At around 11 p.m., at least one car drives past and 13 shots are fired. One of the bullets hits Mr Caruana in the jugular vein. He dies almost instantly. The shots are from the same machine gun used in Tarxien and Żejtun earlier that week. Dec 6, 1986: Anthony Carabott, Michael Spiteri and Edwin Bartolo are brought in for police questioning. Forensic tests reveal minute particles of gunshot residue in their hair, but no particles are found inside Mr Carabott’s Land Rover. Dec 11, 1986: Police raid the farm of Pietru Pawl Busuttil, a local farmer and PN supporter, claim they’ve found a Sterling submachine gun hidden in his barn and charge him with Caruana’s murder. But the courts soon find that Mr Busuttil has been framed by police, exonerate him and eventually award him Lm40,000 (€93,000) in damages. 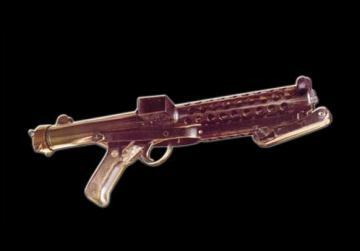 Dec 24, 1990: Nicholas Ellul (iċ-Ċaqwes) is identified as the owner of the Sterling submachine gun. He is charged with the murder of Caruana, but is not held on remand and his testimony is never heard. Mr Ellul dies of an overdose in 2001. Feb 3, 1997: Ġanni Psaila (il-Pupa) testifies in court that Karmenu Farrugia (il-Botom) had fired at the PN club in Tarxien. Mr Farrugia, who was a ministerial driver at the time, denies the allegation. Mr Psaila dies later that year after allegedly falling down a shaft while carrying out a burglary.